How high are realtors´ and lawyers´ fees in Ecuador? What about other property purchase costs? How difficult is the property purchase process in Ecuador? There are no restrictions on foreign investment in real property in Ecuador, except within 50 km. of the country´s borders or coastline. 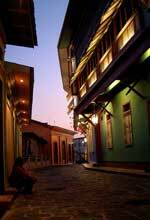 Due to the current economic turmoil some foreigners may see Ecuador as a real estate bargain. Shortage of cash from a bank account freeze is forcing many people to sell their real estate to access funds for business or living. The result has been lower real estate prices in all residential sectors and in all parts of the country. However, foreign investors are warned that because of the problems with corruption, gaining protection for property rights from the local court system has at times been complicated or unsatisfactory. Announcements of apartments and houses for sale can be found in the local newspapers but in the majority of these, they are houses with previous owners so we recommend a good check of the condition of the house and the different installations (especially in the case of colonial houses). Generally, a down payment is needed and the rest of the value will be deferred over 1-7 years with a bank credit of mortgage. In Ecuador, many properties for sale are not listed and there are no multiple listing services. Real estate transaction is highly localized in Ecuador. This makes it difficult for those who are not locally based to get information about the property market. To get information on real estate market the local real estate agent can give some assistance. The transfer of title must be by public instrument and should contain a true statement of the consideration since the state tax on transfers of title is based on the real consideration. Deeds must bear stamps, signed by both grantor and grantee and recorded in the Registry of Properties. There is no estate by curtes. The law in Ecuador recognizes the use mortgage as a bilateral agreement between the relevant parties. Mortgages must be executed in the form of a public instrument as mentioned above. They may be made in a foreign country with respect to property in Ecuador. Recording of the property with its encumbrances is very important. The mortgage is effective only from the date of record in the registry. Mortgage foreclosure is effected by a summary executory suit. After closure there is no right of redemption. The financial institutions and banks in Ecuador prefer short term financing rather than long term debt financing. There is a limited mortgage market in Ecuador. Most banks provide short term funding in order to limit their financial exposure in most of the projects. Due to lack of long term financing, real estate is dominated by those who have excess cash to invest. Property acquisition costs in Ecuador are normally paid by the seller to the real estate agent. Legal fees are not set by the government but paid according to the negotiation of the parties involved. Registration fees are also paid when documents are recorded in the Registry of Property. The whole process of registering a property can be completed in around 27 to 45 days in Ecuador. Transfer tax is levied at a flat rate of 1% on either the official property value or market value of the property, whichever is higher. Transfer taxes are payable to the municipality where the property is located. Provincial transfer tax, also known as additional transfer tax, is levied at US$510 plus a flat rate of 0.11% on either the official property value or market value of the property, whichever is higher. These taxes are payable to the province council (consejo provincial). Notary fees are generally around 0.10% of the property value, including general expenses incurred by the notary. Registration fee is generally around 0.10% of the property value. 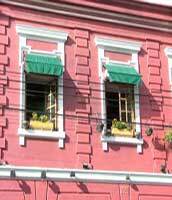 How landlord-friendly is the law in Ecuador?